Editor’s note: Comments and discussion are encouraged. Please visit Dance/USA’s Facebook page at https://www.facebook.com/DanceUSAorg and join the conversation. Congratulations on your success! Welcome to my totally subjective view on how to approach your college search. I’m the executive director of Now Next Dance, a dance and leadership development program based in Washington, D.C., that provides creative and career development mentoring programs for teens, college dancers, and professional artists. Dance is a field of study. Dance is not one, defined career path. You’ll read advice to look for a program that has beautiful facilities, a large faculty, daily ballet and modern class, and a beautiful costume shop. Those programs are wonderful but they aren’t for every dancer. Look at several programs and then look carefully at yourself. Your college choice is about you — not about ideals. Take this college search process as an opportunity to get to know yourself better. You’ll change in college, of course. The more thoughtful and open you are now, the more opportunities you’ll create for yourself. I’m mostly going to write about things that might not be on your mind, but I want to make sure we are starting on the same page. The foundation of your dance education should be dancing. If you are going to be a dance major, I want you to bring the essence of your being into the dance studio. I want you to sweat and cry and push yourself. If you want to go to college to drink and write catty comments on Facebook … don’t be a dance major. I’ll say it again, and again, and again. (And again.) Your network matters. College is an amazing, hard, magical, bloody bubble. All sorts of stuff will happen and you’ll need your classmates. Beyond college (aka for the bulk of your life) you’ll navigate a giant world and a fractured, confusing, and exciting field (see Is Modern Dance a Pyramid Scheme?). There is no dance “corporate ladder.” Gone are the days when you’d audition your senior year, join a company, tour, start making work, start a company, get an MFA, get a faculty job, retire, then teach one class as an emerita and work in your garden. Nope. Sorry. Okay, someone from your class will. And here’s the thing, you want to come out of a program where you will be genuinely proud of that classmate. And she (okay, he) will be proud of how you create your life post-college. You don’t want to come out a program where some dancers “succeed” and some don’t. You do want to come out of a program where students leave and do all sorts of awesome things. So how do some departments cultivate collegiality? In my view, having at least one class each semester with your cohort develops a strong bond over four years. I also see that in programs where students frequently collaborate and aggregate their strengths, an exciting cohort emerges. How many students are in each graduating class? How many classes do each cohort take together each semester? How does the department foster collaboration among classmates? Is there a senior concert or senior project that the whole class produces together? In tiny and in huge programs, I want you to have exposure to professionals who are working in the field. I’m not so concerned whether these are the hottest New York choreographers or colleagues of your professor who are making work in the nearest city to your college. In fact, I really like it when programs bring back recent graduates to network and connect with current students. Why does this matter so much? The exposure to new movement vocabulary and a new way of working, thinking, and making will challenge your mind/body. You’ll also get to talk to dancers at various stages of their careers and you’ll learn more about how to create your own life path. Can you describe your guest artist/scholar/educator program? I don’t believe this. Neither did my cohort, all of whom have gone on to integrate dance and a range of careers. I want you, young reader, to develop multiple interests and competencies even if you haven’t discovered what those are quite yet. Being in rehearsal may be your favorite moment in life, but you must be passionate about something else. I’m not talking “fall back.” Let go of that silly idea. You are going to chart your own course and it is going to be one that is nuanced and complex. At some schools you’ll be able to plan a double major where you dance as much as you desire and engage completely in your other field of study as well. That won’t be as practical at other schools, for instance in intensive BFA programs. However, even in many BFA programs you can develop a specialization within your course of study. Be a BFA with an emphasis on arts management or kinesiology or graphic design — how cool would that be?! Or you may want to go somewhere where you get a BA in dance and a BS in neuroscience. That part is up to you. How does the department facilitate interdisciplinary work? How many students double major/have minors/create specializations? What skills do students come out of this program with, that may be different from other programs? Here’s a tricky one, because it’s not indicative of the quality of the department, but you want to sort out what percentage of the faculty members are full time versus part time (often called adjunct) and how those faculty members function in the department. According to the American Association of University Professors, more than half of all college professors are part time. Generally speaking, that’s a troubling statistic, but in dance, there is a long and wonderful tradition of bringing in part-time folks from the field to teach things like technique or make new work for students. Look closely. A department with a rotating cast of faculty members is something you should question, for a couple of reasons. Accessibility: Part-timers are only paid to teach and they are often teaching at multiple schools and often don’t have offices. They generally can’t be your advisor and just aren’t around quite as much as a full-time faculty member is. Power: Adjuncts are awesome people but if you need someone to mentor a project, sign off on an independent study, be the PI on a grant, or go to bat for you with the chair when you want to propose something (or opt out of something) — they just don’t have the power that a tenured faculty member has. Again, this isn’t a rule. Some departments have part-timers who have been there for years, have developed curriculum, advise projects, and are held in great respect by the chair. It’ll be hard for you to assess this, but it’s something you can ask current students about. This matters … because? Oh, right, your network! If you see someone for one semester your freshman year and one semester your senior year, that’s different from getting to know someone consistently and in multiple contexts over four years. I know this personally as a former adjunct. Students I adored would ask for letters of recommendation and I would just wish I knew their writing, or had seen them integrate complex information in kinesiology, or seen how they give peer feedback in composition classes. What percentage of your faculty is part time and how do you integrate them into the department? How long have your adjuncts been with the program? Are the same group here year to year? How well do you get to know the part-time faculty? Do you feel like they really get to know you? If you come out of a dance program and are not comfortable with your writing, you have missed out on a pretty significant chunk of the whole education thing. As a dancer or dance educator, you’ll need to write grants and articulate and advocate for our art. Dance writing — whether historical, critical, or ethnographic — is an amazing training ground. Learning to write will better your life and any career path you create. Ask prospective programs how they encourage student writing. If the answer is that the college has a writing center … that’s not good enough. Same with technological competence. I don’t think that your only option is a school like Ohio State or Arizona State with unbelievable arts-tech opportunities, but I do think that if you see yourself staying in dance and living the independent artist life, you should leave a BFA or BA able to document your work, make a website, run a light board, cut music, and make a beautiful poster. If you find you are really good at one of these things, you might even make a great, flexible living! While specific classes in technologies might not be offered within the dance department, dance faculty should know about and sound excited about these opportunities across campus. How is writing integrated into the curriculum? Are there specific writing-intensive classes? What technologies are your students exposed to? What technological proficiencies do your students develop? What courses across the campus develop technology skills? Don’t take out a mountain of debt. In dance, it’s simply not the case that the best professors and best programs are at the most expensive schools. Look at a range of schools and at schools that work with your family budget. You can have an amazing life as a dance artist or you can use your rich undergraduate dance education as a foundation for a number of field, but it will be a lot harder with crippling debt. Talk about curiosities instead. Sometimes our dreams are simply something pre-defined. There’s a whole world of possibility out there. Become something amazing and new — through dance. Don’t freak out. I promise, it will be okay. You can even email me and I’ll allay your fears. If your son or daughter approaches college right, a degree in dance will open amazing doors. I have a really cool friend, a big-time international lawyer and we talked once about her classical ballet training. She said: “Oh I always hire dancers when I can. Nothing on a resume says hard work like significant dance training.” If you are worried about the value of your young dancer’s college education, help him or her find a program you are both comfortable with. Pick one where your dancer will be challenged as a dancer and will have the opportunity to write, analyze, investigate, and develop 21st-century skills. Ashley Thorndike-Youssef is the founder and executive director of the Now Next Dance Mentoring Project. She holds a PhD in dance studies from the Ohio State University, a Masters degree in educational counseling from the University of Virginia, and a BFA in modern dance from the University of Utah. She has worked in the dance departments of Ohio State University, Oberlin College, George Washington University, and, currently, George Mason University. Previously, she managed the operations and designed health and fitness curricula for the Young Women Leaders Program at the University of Virginia. Ashley has performed and created with Striding Lion Performance Group, Annie Kloppenberg & Co, Meghan Durham/MERGE, and Ashley Thorndike/Peter Swendsen. She has presented at the following conferences: National Conference on Girls Education, Society of Dance History Scholars, Congress on Research in Dance, World Dance Alliance, and the National Dance Education Organization. Her work creating Now Next Dance has been featured in Dance Magazine, on Life of a Modern Dancer, and was recently described as “trailblazing” on From the Green Room, Dance/USA’s online journal. 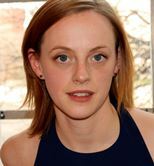 An advocate for studio-based learning, she has two essays forthcoming in Middle Dance, a textbook on teaching dance to teens, and is at work on a journal article synthesizing her dissertation research on dance epistemology. Ashley is also a BASI-certified Pilates instructor with a specialization in dance training, and a registered yoga teacher. Be part of the conversation! We welcome and encourage feedback on eJournal articles. Visit our Facebook to see what others are saying at: https://www.facebook.com/DanceUSAorg. You are encouraged to contribute any commentary designed to spark conversation, ask questions, and/or offer constructive criticism. Please note that comments will be reviewed by Dance/USA staff prior to appearing on the site. If necessary, comments may be edited or deleted to remove any inappropriate or highly inflammatory remarks.